EXCITING NEWS! THIS IS MY NEW WEBSITE! Yes, I know it has remarkably similar content to my last blog, but The Clean Plate will serve as a platform for future culinary, blog, and social media endeavors. So be on the lookout for fun new things! The meals are also a little more organized on the recipe page so check it out! 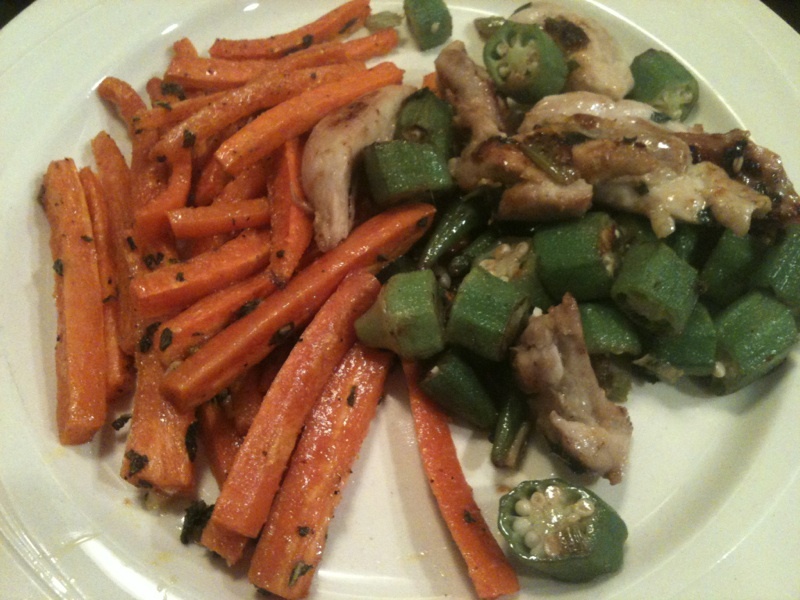 Also, if anyone wants suggestions for paleo meals or how to recreate a favorite “non-Paleo” dish, let me know! I am always up for a challenge. Here’s a sneak peek at my next challenge: It is a favorite halloween candy of mine… MOUNDS! Yes, yes, I know it’s chocolate and coconut. But we all know that there is way more crap in those little bars than those two awesome ingredients. So I’m going to give them a try come October 31. If you’re new to my blog… Welcome! Great to have you here. My husband loves okra, so when we went to the San Clemente Farmers Market last Sunday, I KNEW what we were having for dinner. This turned out to be quite a tasty dish. Scoop up some okra now before it’s out of season. It’s super good for you. Try it! Heat a skillet over medium/high heat with the coconut and olive oil. Add onions and celery, saute until fragrant. Add chicken and seasonings. Saute until chicken begins to brown on one side. 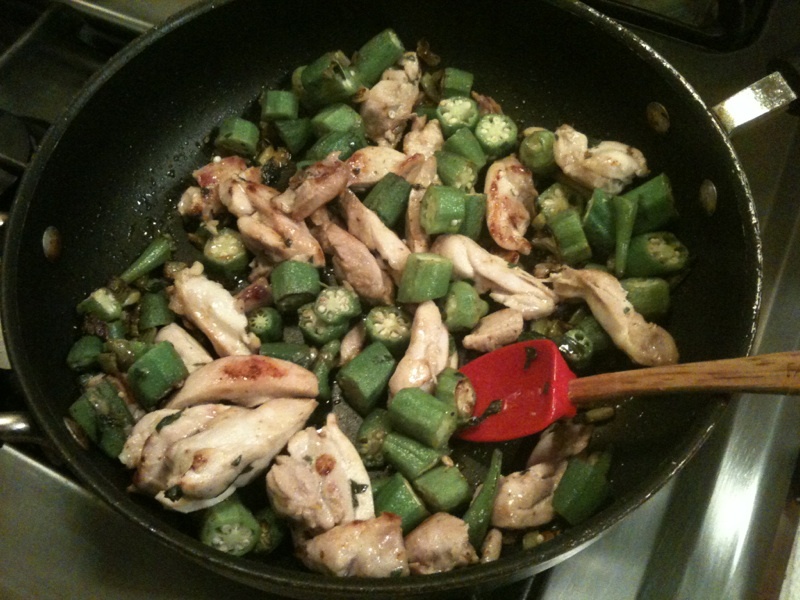 Add in okra and and stir it up to continue cooking the chicken. When the chicken is cooked through serve mixture with carrot fries.